As part of a grueling ELGL initiation process, new members are asked to complete our version of the Wonderlic test. It’s an open book test and participants do not have to use a dull number 2 pencil to fill in tiny circles. 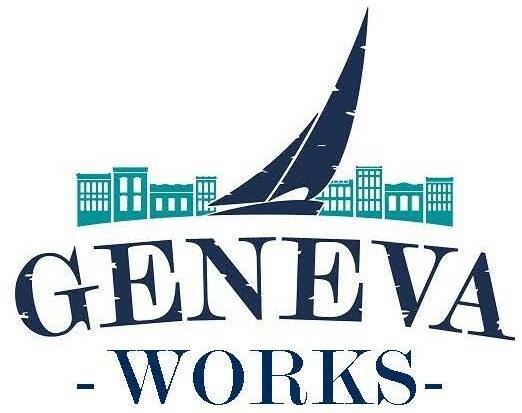 Mathew Horn (LinkedIn) is the City Manager for the City of Geneva, New York. Previously, he served as the Director of Operations for CH2M Hill. Interact more and learn from my peers in local government. It’s so easy to get submerged in the day-to-day…I’d like to dedicate a portion of my start-up and wind down to reading an article or two on something that we’re not focused on in Geneva in an effort to mitigate blind spots. If you’ve got to work somewhere, it might as well be in wine country…Geneva is in the heart of the up-and-coming Finger Lakes Wine Region. Cheers! You should probably know that I…. Do you agree/disagree with the following statement(s)……Explain…. It’s better to be courageous than popular. Absolutely agree. One of the toughest lessons I’ve learned in leadership roles is how quickly “friends” come and go, dependent upon the decisions we make. Do what most closely aligns with your personal and community values and the *right* people will stand behind you. Local government has recovered from the recession. Maybe…”recovering” is closer to the truth. The property value bubble, along with sustained increases in cost centers like employee health care and pension costs resulted in a big “spend down” of critical reserves and deferred capital investment in lots of peer governments (and mine). It will take sustained growth to replenish reserves, catch up on infrastructure, and put all of us back on sound financial footing. I could live in a city where below zero temperatures are common in the winter. Improving walkability should be a priority for cities. Only if you place any value whatsoever in your land resources. Silly uses of valuable urban property like expansive asphalt parking lots (and even more expensive parking structures) and archaic zoning practices permitting auto-oriented development are not only bad for Mother Earth, they are costly to maintain and support. I envision running for mayor or council one day. Local government should expect more from employees. We can always do more. Waste (including time waste) is bad in any organization, but it is far worse in the public realm. Dedicate yourself to giving 100% during (at a minimum) your 40 hours. Remember what the public has turned over to us…their trust in building a great community… Don’t let them down!